The Platinium Systems are made from ABS plastic, with 90% of it being recycled to achieve a more ecological production. 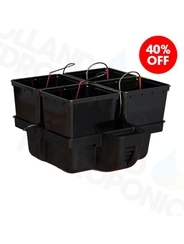 Systems include the Aero Pro which comes with independently removable pots and a complete irrigation ramp. The Hydro Star is a very easy to use modular system. The Hydro Pro is affordable, reliable and easy to use. 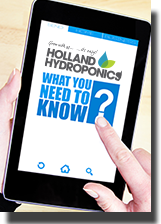 The Platinium Hydro Grower/Stone is the perfect 2-in-1 hydroponic system. The Aero Star Platinium system is something not seen before! The Aero Pro Aeroponic system is something not seen before!